Cardio Room | Pro Athlete, Inc.
Life is busy. We understand. 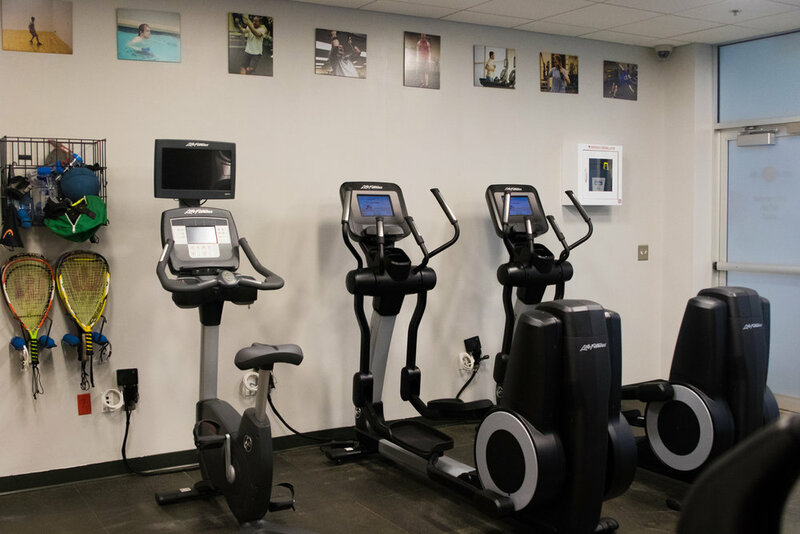 We want to make it easier for you to achieve your health, wellness & fitness goals by giving you access to a gym that is on-site. 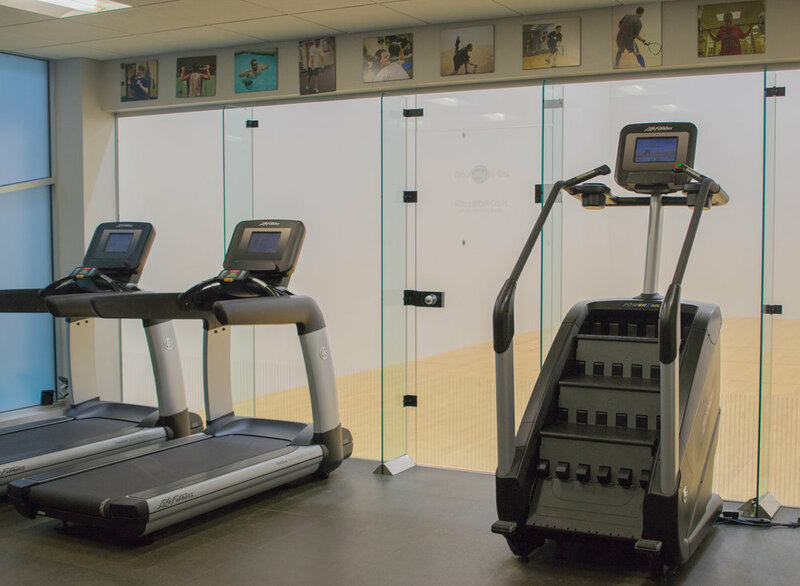 The Cardio Room includes treadmills, stair steppers, elliptical machines, and stationary bikes that offer a close-up view of the next racquetball game. We also have photos of employees working out on the wall.